Clematis 'Pink Champagne' also known as 'Kaiu' produces large pink flowers with a paler central stripe freely to stunning effect during May, June and again in September. 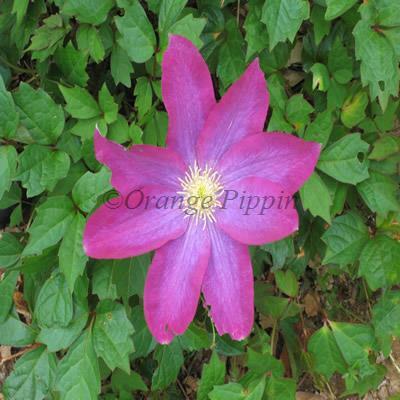 This Clematis is very eye catching! Clematis 'Pink Champagne' also known as 'Kaiu' was raised by Erich Pranno of Kaiu, Estonia and named after his village.